The BFI have announced details of a long-awaited collection of the films of Derek Jarman, to be released on Blu-Ray this spring. 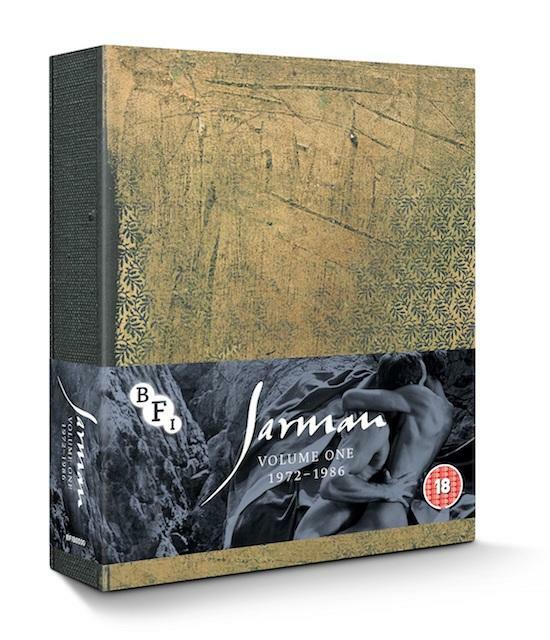 Jarman Volume One: 1972-1986 will be a limited-edition, five disc box that features In The Shadow Of The Sun (for which Throbbing Gristle did the soundtrack), Sebastiane, Jubilee, The Tempest, The Angelic Conversation and Caravaggio. The original films will come accompanied by a host of extras, including TG live film A Psychic Rally In Heaven, previously unreleased 'making of' Super 8 footage shot by Jarman, film of Toyah Willcox remembering her role in Jubilee, interviews with Tilda Swinton, Dexter Fletcher and other Jarman collaborators, a film looking at unrealised Jarman works, and much more, including galleries of set design, storyboards and so on. Jarman Volume Two: 1987-1993 will be released later this year. Read The Quietus' recent retrospective on Jubilee and a changing London here.